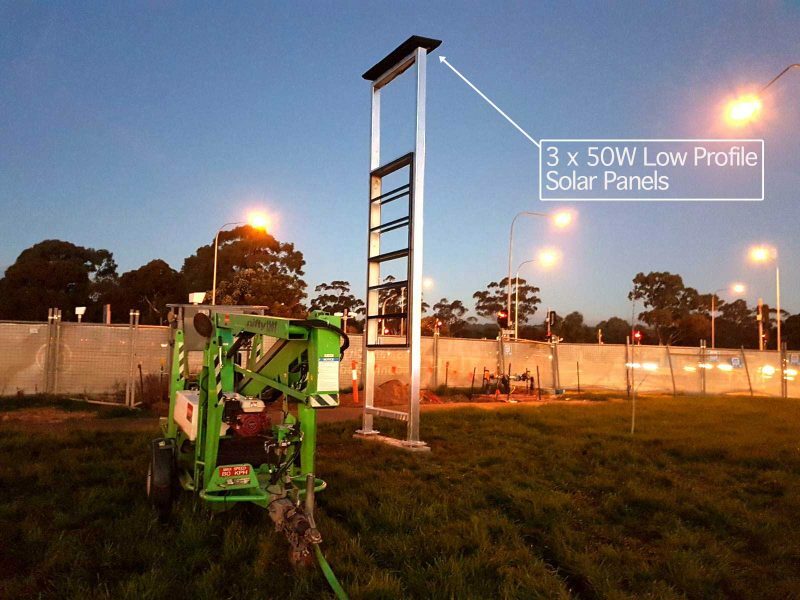 The City of Playford ; a local government area of South Australia in Adelaide’s northern suburbs approached Green Frog Systems for a custom off-grid solar powered signage display for the Elizabeth Shopping Centre. 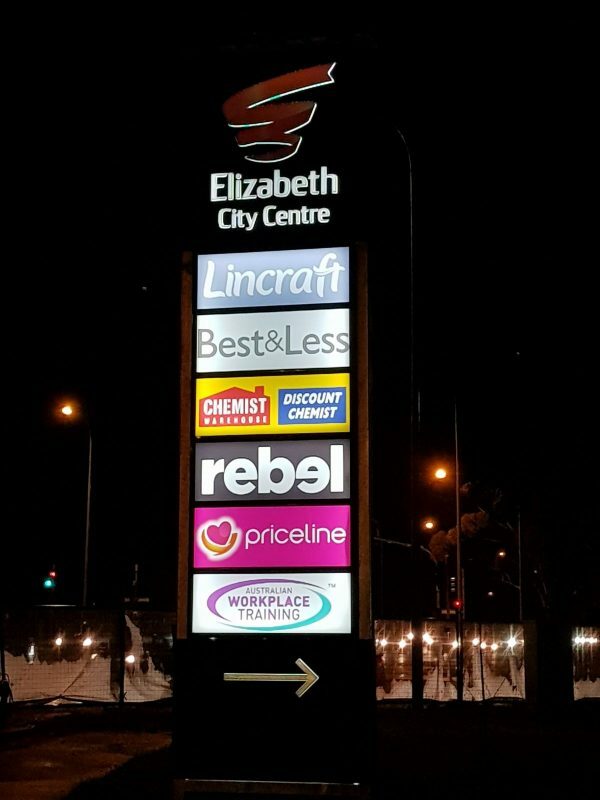 The Elizabeth City Centre is the third biggest shopping centre in the state and required a new internally lit sign to be visible from the main highway that passes the centre. The client opted for a completely independent solar energy harvest and storage system without any obtrusive panels or external battery boxes. Green Frog Systems brand High Performance LED tube system & solar charge controllers. Low profile high impact 50w solar panels with vandal resistant housing and custom mounting bracket to attach to top of signage. 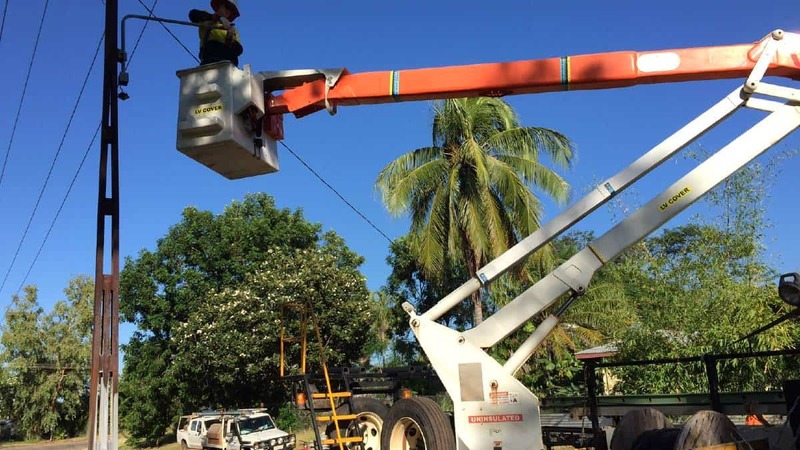 Custom system tuning for optimal solar conversion and maximum lumen output per watt of electricity captured from the sun. The results speak for themselves really but you’re probably wondering how much power a system like this requires?… Total system power consumption – 44watts!